What is Nugevity Omega Max? The Omega Max supplement has been studied and used by astronauts at NASA as part of NASA’s Johnson Space Center’s Space Act Agreement. 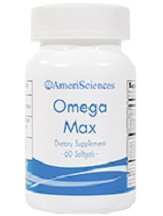 This supplement is referred to as the ultimate Omega-3 diet pill that is compliant to the standards of the United States pharmacopeia. Omega Max is an oil derived from small fish and has been distilled and purified at the molecular level to remove impurities like mercury and dioxin. The instructions on the package of Omega Max are relatively simple to understand. You need to take 2 softgels before bedtime or as recommended by your physician. If you experience stomach upset after taking the supplement, take two after eating a meal. The price for a bottle of 60 softgels is $30.00 and $79.00 for 180 softgels. Nugevity offers a 5% discount when you join their auto refill promo. You just need to choose how often you would like the supplements to be delivered to you, then the discount will be added upon checkout. You can choose to have your 60 softgels delivered every 28 days or 3 months and pay just $28.50 plus shipping fee or for 180 softgels, $75.05 plus shipping every 3 months. Pay attention that when you wish to stop ordering the product, your payments stop too. Based on our research, we find that Omega Max should be placed out of reach children. It is also important that you consult your physician first before using the diet supplement when you are scheduled for an operation or are taking blood thinning medication. Contraindications include upset stomach. If stomach pain occurs, take the supplement along with a meal. Nugevity offers a 30-day money back guarantee to its customers. If they are not happy with Omega Max, or any other product from the company, they can send the item back as long as it falls within the 30 day period. The purchase price will be fully refunded minus the shipping cost, service charges, and handling fee. The Omega Max by Nugevity appears to do its part of supplying its users with Omega-3 fatty acids and many are signing up for its auto-refill promo. However, this diet supplement is not ideal for vegetarians or those who are allergic to anchovies, sardines, or mackerel. The price of Omega Max by Nugevity is reasonable enough for a regular supplement, however, the side effects are not something to look forward to. There are cheaper and more effective options on the market compared to this.